Adrienne did an excellent job mediating our case. I really valued how well she was able to recognize the dynamics of the two sides. She not only understood the key legal issues, but really appreciated the different needs of the parties. Adrienne was also willing to be flexible; rather than following a cookie-cutter approach, she tailored the mediation to meet the needs of the parties and drive a successful resolution. In my almost 20 years of practice, it was one of the most efficient and productive mediations I have ever attended. We not only settled the case, but walked out with a signed, final settlement agreement. I highly recommend Adrienne for employment mediations. Adrienne is one of the most effective mediators I’ve used. Her experience in employment law, both as a practitioner and as a mediator, gives her credibility with both sides in the mediation. She is not afraid to call 'em as she sees ’em, which is tremendously helpful when dealing with stubborn clients (or lawyers). She is definitely on the A-List for our employment mediations. Adrienne is a go-to mediator for every type of employment case. She forges common ground by employing her refined knowledge of the law and instincts about people, digging into the facts, legal authority, and emotional aspects of a case, until she has reached the heart of it. She is tireless, creative, and patient all at once. Her experience as a litigator gives her the credibility to command respect when discussing how a judge or jury may view a case. Adrienne knows when to push and when to pull, all the while showing respect for clients and their representatives. She interacts with and relates to our clients, not just the attorneys, which our clients have appreciated. Mediation is an art, and Adrienne has mastered it. Adrienne does not shy away from tough cases. Following resolution of a relatively uncomplicated case, Adrienne said, "Next time, try me on a complicated one. I love those, too." Subsequently, she mediated a tangled and complicated case. The parties did not discuss monetary terms until late in the day, as Adrienne peeled off layer after layer of the onion, with the parties pouring over documents and analyzing arguments. Adrienne ultimately wove it all together, and forged resolution. She always does. Adrienne is one of the very best of the many great mediators we have ever had the opportunity to employ. She is shockingly smart. She comes to each mediation knowing all the facts and all the law. Due to her meticulous preparation, Adrienne understands the parties and their motivations before she even meets them. She is tireless. She has great positive energy and is tenacious. All of this of course makes her entirely persuasive with both sides. We have used her in complex, emotional cases with intransigent parties and she has resolved them each and every time. Her deep knowledge and experience as an employment lawyer having represented both plaintiffs and defendants is invaluable to reaching settlement. I recommend her without reservation!!! I consider Adrienne to be one my "go to" mediators for employment cases. She is very knowledgeable in the area of employment law and in my experience her case valuations are always spot on. Adrienne is always well prepared, works hard during mediation, does not give up, and creatively facilitates settlement in even the toughest cases. Adrienne earns my highest recommendation. Adrienne can settle dust in a windstorm. We have used Adrienne as a mediator in several complex employment cases, which featured both Rule 23 class claims and collective action claims under the Fair Labor Standards Act. Adrienne's background in employment law and her unflagging decency and impartiality made the settlements happen when odds were against them. I recommend her highly. The amazing thing is that I know defense counsel also thought Adrienne did a fantastic job and continues to recommend her to other defense counsel. When both sides leave feeling that the mediator was great, you know you have a truly great mediator on your hands. Adrienne is a magician—she transforms the impossible into the possible. She is creative, persistent and unfailingly kind, even during the most difficult mediations. Simply put, she never gives up. Adrienne quickly zeros in on the hot button issues and tirelessly works with the parties. Adrienne is the "go to" mediator for big cases and problem cases. She is relentless and will work well into the night to reach resolution. She is knowledgeable on the law, a quick study of the facts, able to read witnesses well, and has the depth of experience to have credibility when talking about what a judge or jury may think of an argument, witness, or case. She has settled cases I never thought possible. Adrienne has helped settle cases for me when I did not believe it could be done. She has a unique ability to relate to both sides of a case and get them to listen to what the other side says. Adrienne is my first choice. Adrienne is a highly effective mediator, with incredible patience, a strong work ethic and a commitment to truly understanding, evaluating and opining on the evidence, as well as possessing the credibility that goes with being an experienced trial lawyer. We have used Adrienne and Fechter Mediation to mediate a wide range of employment disputes with great success, including plaintiff and defense matters. Adrienne always comes prepared with knowledge of the facts of the case, the parties' positions and an outstanding working knowledge of the legal issues. Adrienne has an unparalleled ability to connect with litigants and to guide the parties to a successful and fair resolution. She is our "go to" mediator for complex employment matters. Adrienne shows an exceptional understanding of the psychology of mediation, enabling her to "drill down" past dollars and cents to the core of what is really motivating each party in the room. She has an instinctive sense of when to press a party for concessions and when to let them feel in control of negotiations. As a trial lawyer who has represented employment plaintiffs and defendants, Adrienne addresses the potential weaknesses of a party's legal position in an even-handed manner. If case law interpretation becomes an issue in mediation, we'll all find ourselves reading cases with Adrienne. I've learned to "never say never" with Adrienne, because she will keep working diligently and creatively until she finds the angle that breaks the logjam and leads to settlement. Adrienne is a skilled mediator regardless of the underlying cause of action. Her calm demeanor and straightforward approach keep overly emotional parties from spinning out of control, and her ability to strike at the heart of the controversy allows the parties to focus on the issues instead of each other. Adrienne is simply top notch. She is well respected by attorneys on both sides of the bar because the only way she leans is towards doing everything possible to help the parties resolve the dispute. Clients appreciate and respond positively to Adrienne's calm, but confident demeanor. Our firm represents both employers and individuals and I have found Adrienne to be equally great in both scenarios. She is fair, persuasive to clients, cuts to the chase and secures resolutions that, in my experiences, all parties have considered fair. 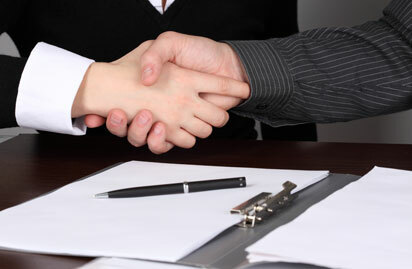 She is one one-stop-shop for mediating employment cases. In a word, Adrienne is effective. Because of her background as an employment law attorney, she quickly recognizes the core issues in an employment dispute and—importantly—can address the parties' assessment of a case's monetary value. Adrienne also has that rare ability to empathize with a party, which instills trust and confidence in the mediation process. Finally, Adrienne is committed to working as long and as hard as necessary to resolve a dispute. I recommend her as a mediator without reservation. Adrienne is an exceptional neutral. She has mediated numerous cases for lawyers in our firm, and the experience has always been the same whether we represent the plaintiff or defendant. What makes Adrienne exceptional is her ability to digest the risks associated with litigation, both legal and business, and to effectively communicate those risks to the client. Adrienne also possesses the one attribute essential for an effective mediator— an unwillingness to quit the process until every last stone has been turned. Her tenacity in reaching compromise is what makes her so effective. Adrienne is deservedly on our short list of top-flight mediators. Adrienne is creative and totally unflappable. I have found Adrienne to be a very effective mediator, particularly in matters that did not initially appear to have much chance of resolution. She is skilled in getting beyond the parties' formal positions and getting to their true needs and interests, which can lead to breaking logjams in creative and unexpected ways. She has a great deal of sensitivity in handling parties (or lawyers) who are highly emotionally invested in a matter. Adrienne is a strong mediator who does her homework. Adrienne is easily able to focus in on the key issues and use creative strategies to reach a beneficial resolution. Having used Adrienne as a mediator in several difficult cases, we are always impressed by Adrienne's ability to quickly develop a sense of trust with the attorneys and clients on both sides and with her persistence in getting the case resolved. One thing that keeps me requesting Adrienne is that both sides seem to see her as fair: she has a stellar reputation among others in the plaintiffs' bar but is also consistently offered to me as a possible mediator by management-side attorneys. Adrienne is an outstanding mediator. I recommend her without hesitation to my clients and to other attorneys—especially for difficult cases. Adrienne treats all parties with equal respect, listens to them, and gets the job done. My employment practice involves plaintiff and defense work, and I have hired Adrienne to mediate disputes for clients on both sides of the aisle. Adrienne comes in prepared, works hard, understands the issues, finds common ground, creates never-thought-of-before solutions and, most of all is masterful at helping disputing litigants recognize the value of compromise. It is rare that counsel for both parties can agree on a mediator without much discussion, but Adrienne is the exception. She is viewed as fair and competent by both sides of the Bar. She is particularly effective at pushing what seems like an impasse to a mutually acceptable conclusion. Adrienne has great style, easily grasps the core issues and uses her outstanding communication skills to settle deserving cases. I have successfully utilized Adrienne's services in a number of cases in which the parties were extremely pessimistic about the possibility of settlement. Through Adrienne's tireless and committed pursuit, the parties were able to resolve their differences. Adrienne combines top-notch skills as a mediator with a thorough knowledge of employment discrimination law. She has a special talent for quickly gaining the trust of the individual plaintiffs and the respect of the company representatives. We call upon her again and again to mediate our toughest cases. Adrienne Fechter spent enough time in the labor and employment law trenches as a top-notch plaintiff's lawyer that she, one, knows from her own experience what makes a case strong or weak, and, two, has earned the respect of lawyers from both side of the divide. Her style is an intense give-and-take with each side, highlighting the strengths and weaknesses in both cases, but without bullying. The result: a settlement from which, as the definition of a "good settlement goes," neither side walks about happy. I would use her again in a heartbeat. I have worked with several mediators over the years and Adrienne ranks among the best. She has helped us settle cases big and small, complex and routine... Using her knowledge of employment law, her exploration of the parties' true interests, and her gentle but tenacious prodding, she has consistently been able to work her magic and help the parties move beyond their positions to find common ground. I have mediated with Adrienne on a number of employment matters in both the Atlanta and Denver areas, some of which were very complicated and/or hotly contested. She has handled each one with relative ease and is extremely deft at dealing with all types of litigants and counsel. I have been mediating across the country for the past 12 years and Adrienne is the brightest and sharpest I have had the pleasure to work with, and recommend her without hesitation. I have worked with Adrienne in trying to resolve a challenging matter. She is very committed to finding a solution that will work for all parties. She does not play favorites. Even after a matter appears to impasse, she will continue to work with the parties to see if she can find a path to resolution. Our case did not settle although I know Adrienne did everything she could to ensure that it would. When it went to trial, she actually attended much of the trial so that she could use the learnings from it to assist her in future mediations. I have never had a mediator do that before and was extremely impressed. I would highly recommend Adrienne and would definitely use her again. Adrienne has served as a mediator for several of my cases. She has an excellent grasp of the issues involved in employment discrimination and harassment cases and does a great job of pointing out the flaws in each side's case. She works tirelessly to reach an agreement that is acceptable to both sides and is creative in her approaches to settlement. Not only is she very skilled at what she does, but she is also a genuine pleasure to be around (which is important when you're spending countless hours in the same small room during a mediation...). I recommend Adrienne wholeheartedly and have found that plaintiffs' attorneys are equally willing to use her as a mediator. Adrienne is one of the best mediators I've worked with. She works hard, knows her stuff, and has an innate ability to connect with people, which is so crucial in mediation. I would use her again in a second. Adrienne is a great mediator. She works incredibly well with both sides and understands the myriad of employment issues. Adrienne has mediated several employment-related cases for me years. She is always well prepared, and does an incredible job of getting opposing parties to compromise of their positions to resolve highly contested cases. Every case Adrienne has mediated for me has produced a settlement. Adrienne is creative, persistent and agressive, when need be in resolving tough disputes. Adrienne is a great mediator. She got some very difficult cases settled for me over a number of years. She works hard to settle every case. She was a go to mediator for me and my clients and she got the job done. Believe we settled every case where we used her. I have had many mediations in the labor and and employement area. I would rate the work performed by Adrienne as among the best I have encountered. She is terrific! I had the unique opportunity of hiring Adrienne as a mediator as well as shadowing her several years ago when I was training to become an employment mediator. Adrienne has a strong knowledge of the law; understands what motivates parties to settle; is able to identify impediments to settlement and work through them; offers creative solutions; and is able to get even the most challenging cases settled. Adrienne is a great mediator who knows how to settle cases. She is batting 100 percent for me and I would recommend her as being fair and balanced with both parties. She is a well-rounded person as well, and that helps the mediation be more fun for our clients. Adrienne is a very gifted mediator. She is well versed in employment law, and she has excellent ability to communicate and move the parties toward resolution. I highly recommend her. Adrienne is a highly skilled mediator who knows her subject matter inside and out. She is very professional, and stays on top of the latest developments in employment law. She has mediated several cases for me, and she has consistently been very effective. We have used Adrienne as a mediator in a number of high-value employment cases, and have always been happy with the results. Adrienne is professional, courteous, helpful with client management and an advocate when necessary. I highly recommend Adrienne, especially for any complicated or multi-party employment matter. Adrienne has worked with our firm on a number of occasions and helps us resolve even the most challenging matters. I recommend her without qualification. I have worked with Adrienne a number of times in complex employment litigation matters. Adrienne has successfully mediated cases I thought would never settle prior to her involvement. She is a trusted, intelligent and efficient mediator who is always our first choice. Adrienne's skills as a neutral are top-notch. She is respected by attorneys on both sides of the bench because she is fair, hard-working, and diligent in trying to help the parties reach a resolution of their dispute. She also works extremely well with clients in making them comfortable with the process and confident in her abilities. Adrienne is a very skilled mediator. Facing difficult circumstances, she was able to get the parties to consider alternatives and eventually reach agreement. I find that she is respected by all sides, and the parties truly listen to her suggestions. I highly recommend her as a mediator for any dispute, particularly if one side or the other has complicated, difficult or emotional issues they are dealing with. Adrienne is an experienced mediator with a deep knowledge of employment law and employment litigation. Adrienne is able to speak directly and effectively with both plaintiffs and defendants, as well as their counsel, to achieve a reasonable settlement. Adrienne has mediated for me twice. The first was an exceptionally complex case and she grasped the facts quickly and helped the parties avoid what would have been a bloodbath at trial. In the second, she helped reach a resolution in a case that I did not in a million years think would settle. She was exceptionally creative and resourceful, and patient with two difficult clients and one set of difficult attorneys. She remains in my list of top neutrals. Adrienne is an excellent mediator whose deep experience, active approach, creative ideas and ability to build trust with all parties leads to excellent results. She handles multi-party cases very effectively and is able to work well with difficult parties and complex issues. Adrienne is terrific at digigng into the issues and understanding the psychology of all players in mediation. She listens to the parties, and does not preach to them. Adrienne has impressed me with her persistence in getting a deal done. I highly recommend her. Adrienne is a hard-working, practical and knowledgeable mediator who has the ability to connect with both sides of the issue and attain he best possible results for all concerned. She practices more than the standard "shuttle diplomacy" that some less hard working but higher profiled mediators practice. I highly recommend her!